 In an openly partisan book, the former congressman and secretary of the interior attacks those he deems responsible for wars both hot and cold, for misguided foreign policies, and for out-and-out lies and cover-ups. Although the book closes with a vision of America restored to an open democracy, with no secret or elite forces beyond the law and with widened cultural tolerance, those are virtually the only words of cheer in a text otherwise devoted to lamentation. Fully the first third inveighs against the Manhattan Project; Udall takes General Leslie Groves as his villain and asserts that developing the atom bomb was unnecessary, since the military knew all along that Germany could not and would not develop one. But he fails to take into account the fact that the scientists gathered in Los Alamos were not in a race so much as engaged in an intellectual effort to see if it was possible to make a bomb at all--an effort that had a momentum independent of military considerations. Udall is more convincing when he takes to task the government's denial of the role played by fallout from atmospheric tests or exposure to radiation in causing death and injury to human and animal life. Here he cites substantive evidence to expose the callous, immoral behavior of lawyers and judges who denied fault and even attributed lung cancer deaths among uranium mine workers to cigarettes (the miners didn't smoke). 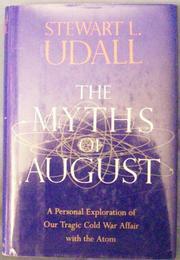 Finally, Udall reviews the Cold War and the success of the military-industrial complex in exploiting the myths of bomb and missile gaps. Chief villains this time around are Edward Teller, Joseph Stalin, and, most recently, Ronald Reagan. Clearly Udall is on safe ground here with lots of slow-moving targets. Unfortunately, having vented so much spleen on the bad guys, he has little space left for a positive message.